 DNK Presents organizes and guides empowering adventure retreats for groups and businesses. They focus on getting people to step outside their comfort zones, try something for the first time, and in turn gain confidence through experiential learning and adventures. 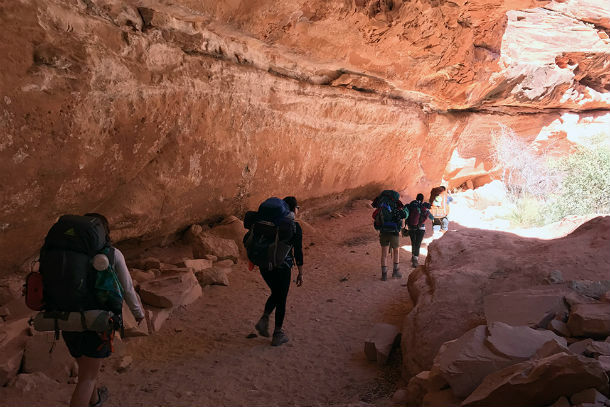 Their trips range from guided hikes around Indianapolis, local paddling trips on Eagle Creek, to week long backpacking and yoga retreats in the Grand Canyon, mountain bike rides and clinics in Sedona, Utah, North Carolina, and so much more to come! DNK Presents founded and hosts an unprecedented event each year, the Live Adventurously, Women’s Adventure Contest. This event is a chance for people to nominate a woman in their life to win a customized extended backcountry adventure weekend guided by Danielle and Kate. 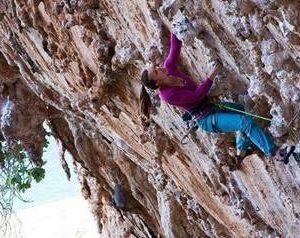 In 2016 they produced a documentary film, “Live Adventurously”, of the women who won the contest. To learn more about the film visit their website at https://www.liveadventurouslyfilm.com/. When you experience an adventure with DNK Presents you will find yourself inspired, confident, and ready to take on your own next adventure. Rejuvenate yourself with an overnight trip, disconnecting from technology, and reconnecting with yourself in the great outdoors. After all, your life should be your greatest adventure! We (Danielle & Kate) truly live our lives adventurously, and know the benefits of unplugging from technology, trying something new and immersing yourself in nature. Our own adventures have increased our confidence, inspired us to start a business, and boosted our mental, physical and spiritual health and wellness. Because of this we have made it our mission to facilitate these experiences for others. We launched DNK Presents because of our passion to get more people, especially women, in the great outdoors, experiencing and living life to the fullest. Our women’s only adventure trips inspired us to launch our very own annual Women’s Adventure Giveaway. We were so passionate about these women and their stories we decided to produce an award-winning documentary film called, “Live Adventurously”. The film follows the four women who won our inaugural Women’s Adventure Giveaway and their transformational journey. To learn more about the film visit, www.liveadventurouslyfilm.com. 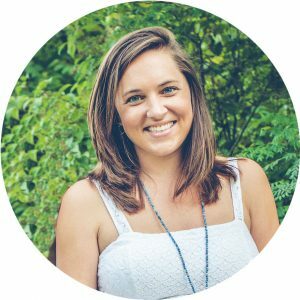 My name is Kate Nolan and I am a cofounder of DNK Presents, Trek Women’s Advocate and Professional Guide. Getting outside has always been a passion of mine and I love sharing that with others. I believe we need a connection to nature in order to live a happy, healthy and balanced life. I grew up camping; backpacking, skiing, trail running and racing BMX and mountain bikes. I believe my bond with nature has helped me to excel in my professional career, to overcome obstacles personally and professionally and the spiritual gain has been profound. Growing up in the country, being outdoors was always second nature to me. Living in the fast-paced digital age we live in today I realized that there was a need for more people to unplug from technology and reconnect with themselves in nature. This was one of the many reasons why Kate and I founded DNK Presents. Together we have organized and guided hundreds of people on adventures in and outside of Indiana. 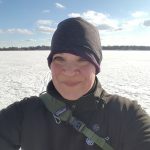 I am blessed to share my passion for the great outdoors while helping individuals and groups build confidence and empowerment through adventure experiences. Through my Yoga, Thai Massage and Reiki training I have incorporated healing energy services within the outdoors. I have a separate business that focuses on this as well as specific nature healing energy services that I have developed through owning and working with individuals and groups in the outdoors. Check out Soulful Trail for more details. GUIDES & COACHES for DNK PRESENTS! 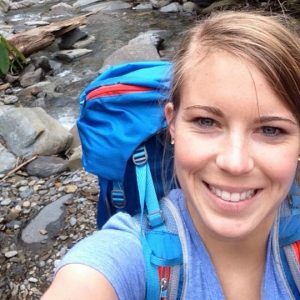 Growing up Kate’s adventurous spirit was cultivated in an incubator rich in road trips, bikes, camping, climbing in trees, and being in the woods. In her adult like Kate’s love for bikes was solidified when she realized they were a threshold from the world of the ordinary into a world of mystery, excitement and remoteness from everyday life. She has been on a mission to share this passion with others ever since. On her journey she has revitalized community bike projects across the country and spent five years working in the bike industry. In the process covering tens of thousands of miles of ground on her bikes! Most recently Kate founded Indy Rolls Out a group formed to promote equality in mountain biking, hosts a weekly women MTB ride, leads MTB trail build crews, holds a seat on the Hoosier Mountain Biking Association Board, and had joined DNK to further engage women in the realm of bikes! 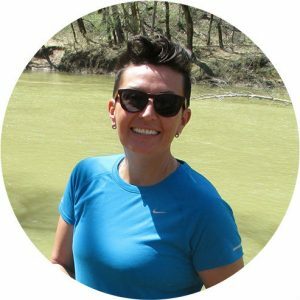 Kate is a PMBIA certified MTB coach and working towards holding a NOLS wilderness first aid certification. 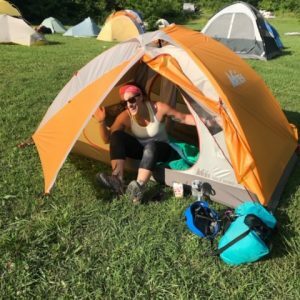 As part of DNK she will be leading local rides in Indianapolis, bike packing trips in southern Indiana, and coaching mountain biking clinics and camps. 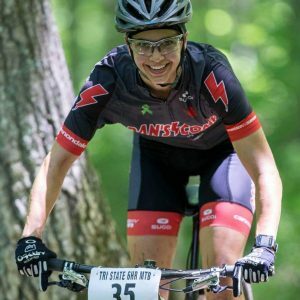 Hutch brings a wealth of experience from her time as a high school teacher and athletic coach, as well as double digit years spent on a mountain bike. Hutch travels throughout the southeast racing for Dan’s Comp Factory Racing and lives in Evansville, IN with her dogs and a husband thrown in there for good measure. I am a 3rd grade teacher who lives in Fountain Square with my husband Aaron and our 2 cats and 5 chickens. I grew up camping and traveling with my family and coached sailing on Lake Michigan in high school and college. I have always loved the outdoors but got very interested in backpacking a few years ago and tried my first overnight in the Charles Deam Wilderness. Some of my favorite hikes have been Gros Piton in St. Lucia, Red River Gorge in Kentucky, and Yellowstone National Park hikes. Ali Solomon is one of our rock climbing and backpacking guides. Professionally, she is a Legal Talent Coordinator for Faegre Baker Daniels LLP and graduated from Ball State University in 2013. In her free time, she enjoys reading, being outdoors, & spending time with friends and family. She currently resides in Indianapolis with her husband Andrew and cat Storm. Kati has been riding mountain bikes all over the Midwest for almost a decade. 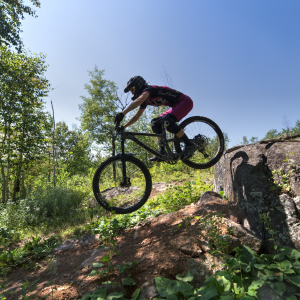 She loves the stress relieving, confidence boosting, courage building awesomeness of riding a bike on rugged dirt trails, and has a passion for sharing her enthusiasm with others. “Hi I’m Kati. 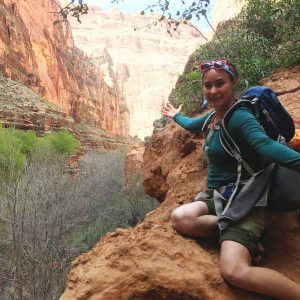 I love nature and am thrilled to have the outlet to share that with others as an assistant backpacking guide with DNKpresents! My background is in art + design, communications, and information systems. You won’t find me sitting around watching television. I’m currently an account executive for a local small business. In addition, I own a marketing and design business called Clear Vibes Creative, am an AirBnb Super Host, and I serve as the marketing chair on the Musical Family Tree board. I also volunteer monthly to coordinate both BikeParty and the Indy Full Moon Riders bicycle group rides. I’m always seeking out live performances and new adventures! I am a chemist by trade, which means I love solving problems, asking questions and being over analytical. Those characteristics with a dash of loving to meet new people and travel to new places gave me a perfect foundation for becoming addicted to rock climbing. I have been falling off rocks for 5 years now, and have gotten to travel to many beautiful places within the US and internationally. I try to balance myself with other activities such as hiking, volleyball, road biking, napping and eating all pastries! Candice Baggett grew up on a horse farm in Central Indiana and has always felt most at home outside. Her first backpacking trip was in the pouring rain sometime in the mid 90’s giving her a rather optimistic attitude about wet conditions. Professionally, she has worked as a piano teacher in both private settings and public schools for over 20 years. 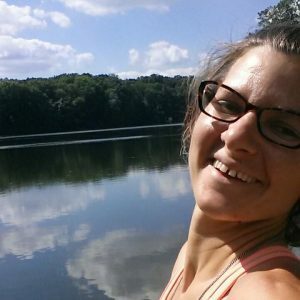 In 2015 she completed her 200-hour registered yoga teacher certification through Peace Through Yoga and also teaches Paddleboard Yoga. Candice lives on the Northwest side of Indianapolis near Eagle Creek Park where you may find her on the water, running trails, walking her dog or biking Circle drive.